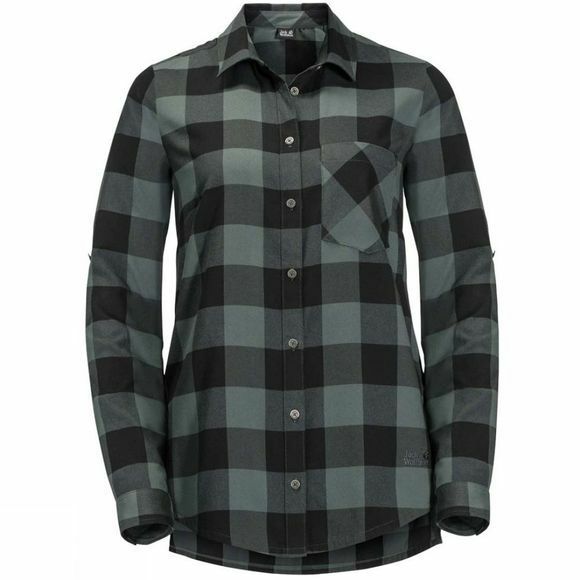 The Womens Holmstad Shirt from Jack Wolfskin is a longer style checked Shirt straight out of a Canadian Winter scene. The Light flannel fabric is warm, feels soft on the skIn and is very easy-care. It's really breathable, too, which makes this Shirt ideal for active Outdoor use In Winter. In warmer weather, simply roll the sleeves up and fasten them In place. The Shirt has a chest pocket for small items.